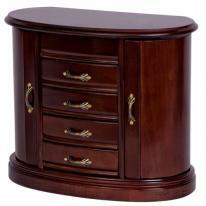 Walnut is a rich brown wood with beautiful grain lines running throughout. 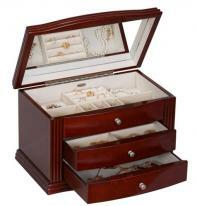 The traditional feel of walnut jewelry boxes allow them to blend with many styles of decor. 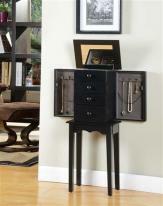 Choose from traditional to modern jewelry boxes in an array of light to dark finishes. 18"W x 12" x 40 1/4"
Questions? 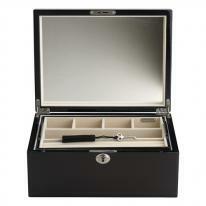 we welcome your call or email. 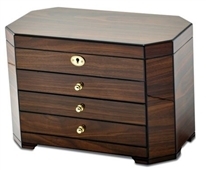 All walnut jewelry boxes qualify for easy 30 day returns and 1 year product warranty.